Welcome to the wonderful world of Gonzos Quest, a fantastical game straight from the library of NetEnt. 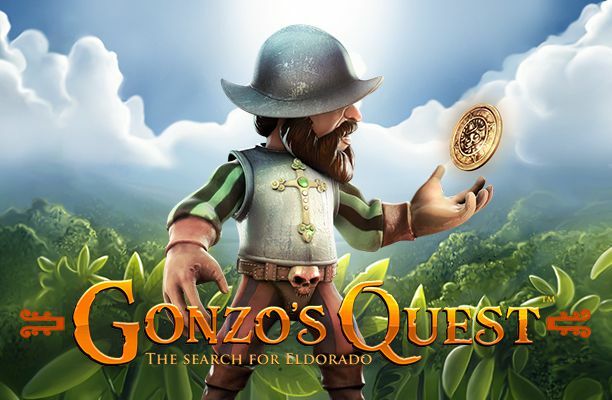 Join Gonzo on his quest to find treasure amongst the Aztec themed ruins and watch as he jumps around at the side of the screen, whilst the game is in play. As the reels spin and symbols are matched they will be removed, in a similar way to the Tetris block games of old. Boku Slots are huge fans of this game, so let’s delve into the reasons why. Gonzos Quest operates an avalanche style approach to video slots with an RTP (return to player) of 96.00%. It hosts 5 slot reels which are home to 20 pay lines. Once you match symbols on a pay line they are removed and new blocks then fall into place. If symbols are matched again it will continue to remove and drop in more blocks, until there are no more matches to be made. Bet Amounts – The minimum coin value that can be bet on Gonzos Quest is 0.01p and the maximum coin value is 0.50p. This means you can play from a minimum of 20p to £50, depending on how much you want to spend. However, there are 5 levels of betting that can also be used, if you wish to increase or decrease your bet amount during game play. Alternatively, you can hit the max bet button on the screen to play at the full betting level and amount. 4th or more avalanche offers x5 multiplier. 4th or more avalanche offers x15 multiplier. Wild – The wild symbol substitutes for any and all symbols. So if you are one or more short for a feature or pay-out and the wild falls into place, then you will have that feature or pay line enabled. 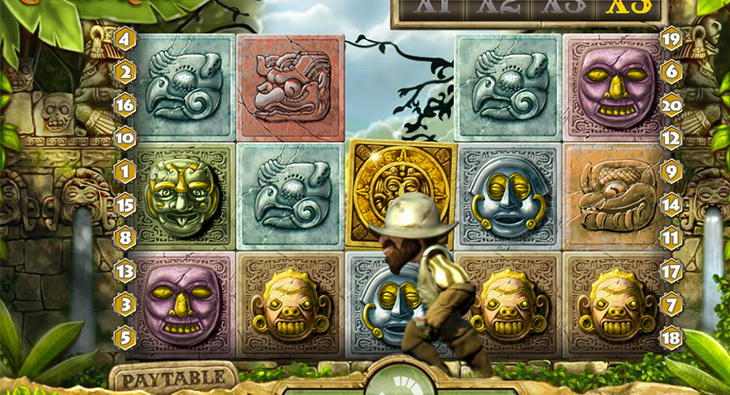 Other Symbols – The Aztec faces on the other tiles are where the money is won. If you match 3, 4 or 5 of these symbols on a winning line, then you will win the matching cash value. These symbols will then be removed creating the avalanche effect. Each symbol is a different colour ranging from low to high value. 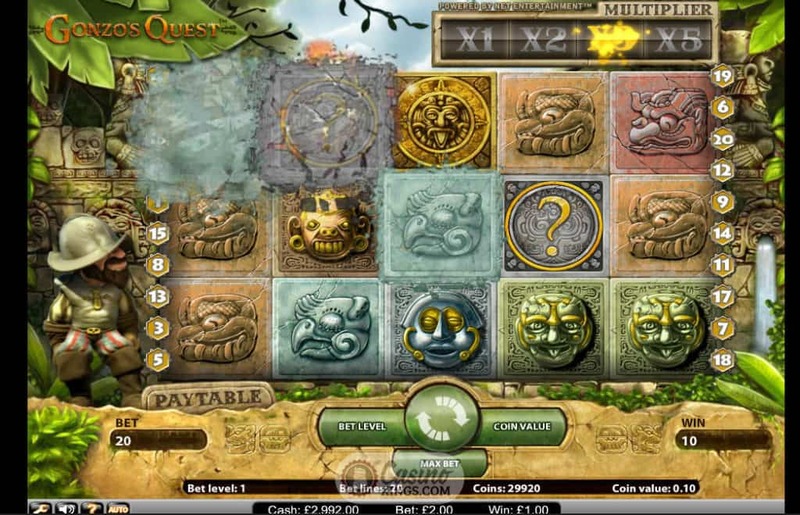 Gonzos Quest is a very popular game both in the UK and abroad and we can see why. It is exciting and fun to play, with Gonzo getting more and more animated the bigger your win. The avalanche style as opposed to normal spinning slots make it a little more interesting to watch as well.